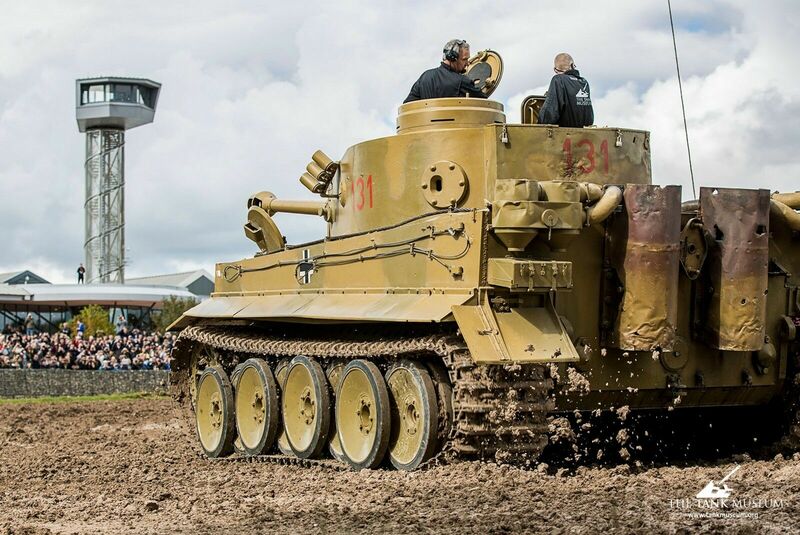 Jagdtiger was the largest and at 70 tons, heaviest tracked vehicle to fight in the Second World War and is one of the vehicles featured in The Tank Museum’s Tiger Collection exhibition. 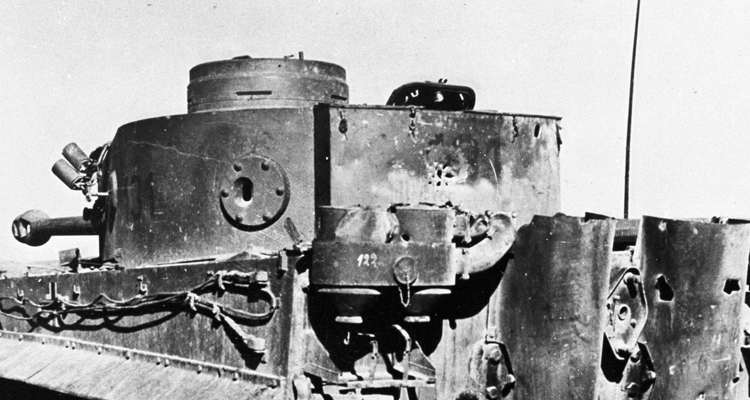 The front armour was almost 10 inches thick and completely proof against all Allied tank and anti-tank guns. 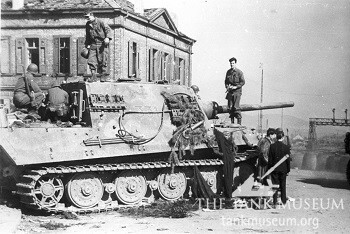 A well camouflaged Jagdtiger in a static position could inflict major damage on Allied tanks. 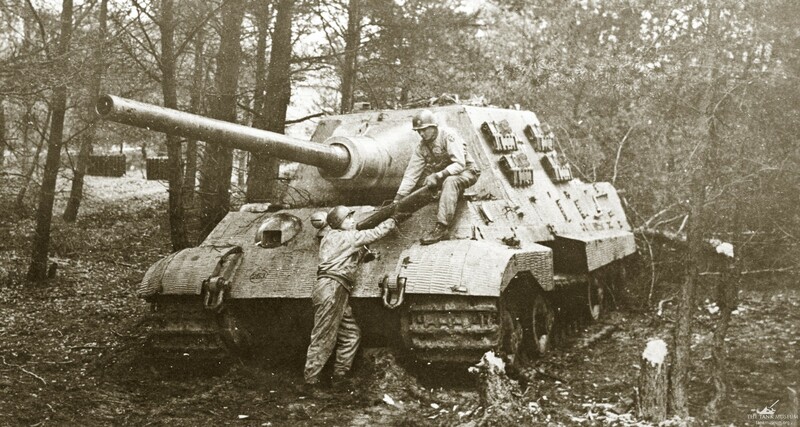 Jagdtiger Henschel suspension no. 331 of 3 SPz Jag Abt. Heavy Tank Destroyer Battalion 653, captured by the American Army at Neustadt, March 1945. The Jagdtiger which literally means ‘hunting tiger’ was the heaviest fighting vehicle to see action in the Second World War. The project was started in early 1943, when a proposal was made to fit the 12.8cm Pak 44 gun to a tank destroyer. 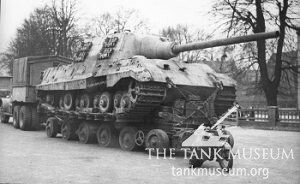 The chassis was based on the Tiger II, which had been slightly lengthened. This followed the series of Jagdpanzer designs which used the latest tank hulls to mount anti-tank guns in a turretless and therefore was a cheaper design. 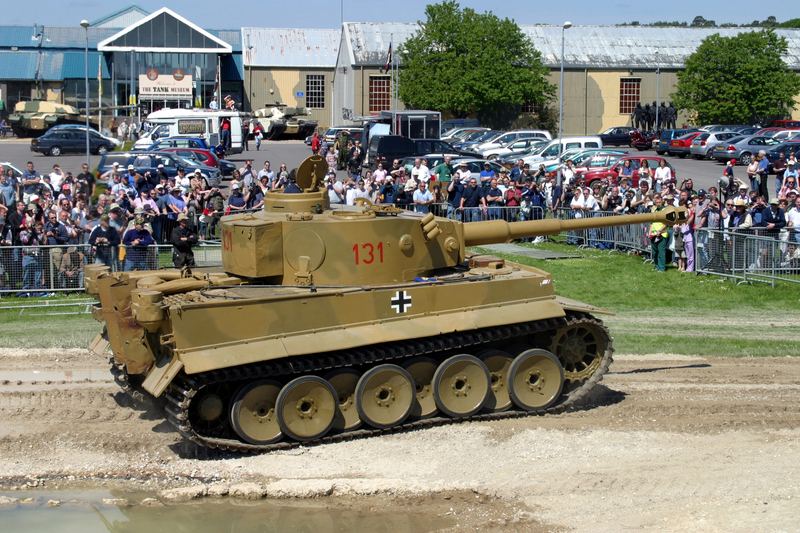 As with the Tiger II, both manufacturing companies Porsche and Henschel submitted designs. The first 11 vehicles were built with Porsche suspension, but this was considered too vulnerable and was replaced with the Henschel design. 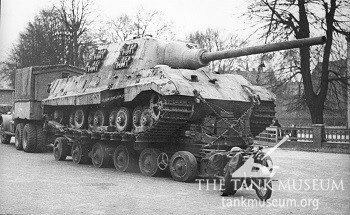 The Tank Museum’s Porsche suspension Jagdtiger, on Gotha trailer at Sennelager training area, Germany 1945. The gun fired a 28 kg armoured piecing rounds or 28 kg high-explosive rounds, which could penetrate any Allied tank armour of that time at 1,000 meters. The engine was the Maybach P230 petrol engine, which produced 700 hp. This gave a poor performance due to the combat weight of 74 tonnes. Only about 85 of the 150 Jagdtigers ordered were manufactured. The tank was plagued by breakdowns and a number of losses occurred through crew members’ inexperience. 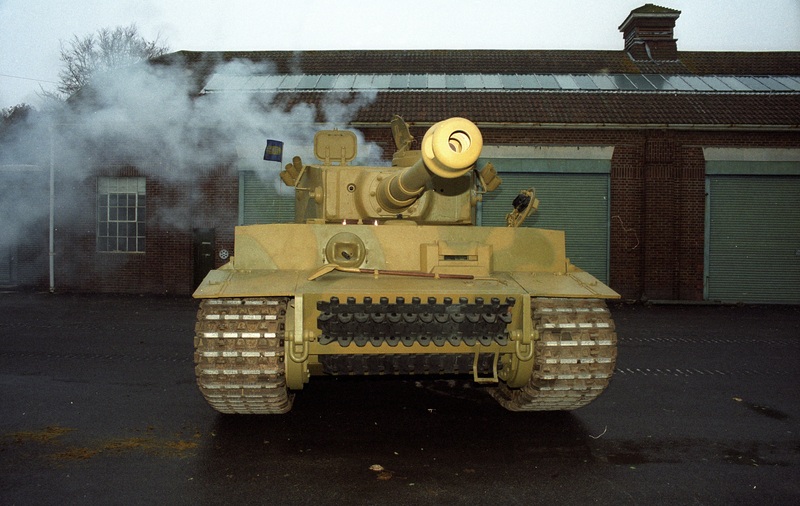 The example housed in the Tiger Collection was captured by American forces in 1945, seen at Haustenbeck by British Ministry of Supply Researchers and used as a test vehicle at Sennelager tank training ground. It was coated in Zimmerit – a special paste which prevented magnetic charges from sticking to the hull. 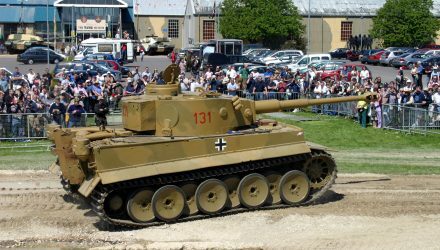 Find out more about the capture of The Tank Museum’s Jagdtiger here.